What’s In A Name – Or A Logo? We don’t talk about ourselves that often at 1812Blockhouse, which is an oversight we really need to correct. 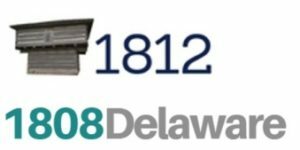 The last time we spoke in first person was when we shared news of the launch of 1808Delaware back in September (things are going well there – be sure to check it out at: www.1808delaware.com). Today we thought we’d point out a bit of a change on 1812Blockhouse – particularly on desktop, tablet, and smartphone. It’s our logo. You may note the slightly updated look, our first in over two years. Speaking of logos and in honor of this update, we’re looking “under the hood” and sharing a bit of the evolution of the name 1812Blockhouse and taking a visual look at how things might have been. When work on our site was underway in the summer of 2016, one model for how it could operate was an outstanding site in Philadelphia called “Billy Penn.” It’s still going like gangbusters at billypenn.com. 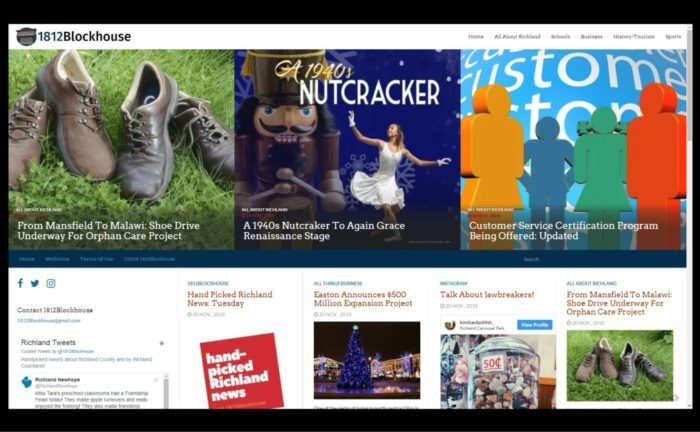 Like 1812Blockhouse and 1808Delaware, Billy Penn shares links daily to news from other local media companies (we do this as well — you will always find links to stories from WMFD, Richland Source, the Mansfield News Journal, the Shelby Globe, the Bellville Star, and others on our site). Jim Brady, the owner of Spirited Media (Billy Penn’s parent company) often shares how that name came to be. After a misstep with the name “Brother.ly,” a play on Philadelphia’s moniker “The City of Brotherly Love,” the choice was made to go with the nickname of the statue which crowns Philadelphia City Hall (of founder William Penn). According to Brady, this name was chosen because Philadelphians would understand the reference. No one from the outside would get it – which was purely intentional; it belonged to that city, and only that city. That was the initial thought behind the word “Blockhouse.” If Mansfield has a visual icon, the Blockhouse – now in South Park – would come as close to any in filling that role. True, a carousel horse might give it a run for the money, but for an image which connects the city’s past and present together the Blockhouse was the obvious choice. When 1812Blockhouse expanded to include all of Richland County about a year ago we kept the name, as the local landmark had also served as the first courthouse in the county. At first, 1812Blockhouse was to be called “The Blockhouse.” This was not possible for a couple of very good reasons. Immediately thereafter, the name “1812Blockhouse” was chosen in honor of when that structure was erected and one of the initial roles it served for the young community.